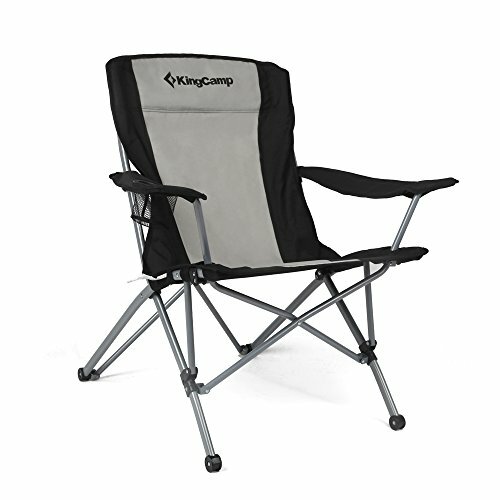 Comfortable tilted back design, offers great support for the back and the legs. Seat Height 16.5 inches, Width 21.7 inches. Heavy-duty steel frame, weights 9.3 lbs, supports up to 264 lbs (120 kg). Arm rest cup holder to keep your drink at hand. Folds up in seconds, packed size 42.1 × 11.4 × 5.5 inches, easy to store and carry with the shoulder carry bag.